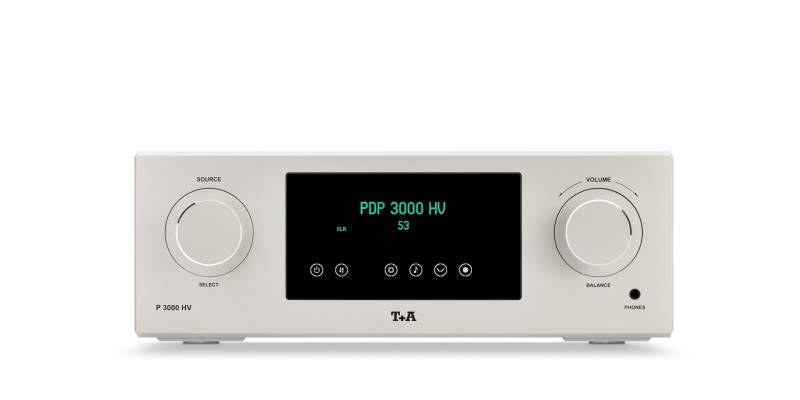 The P 3000 HV is the audiophile High-End preamplifier of the series, and represents the universal control centre for a High End Stereo system consisting of HV separates. It is equipped with unique, newly developed technologies and innovative circuit designs. Its measured results, specification and sound quality represent the limit of what is physically feasible. The components and materials employed are uniformly of top quality, without any hint of compromise, and the workmanship of the case sets standards which are unmatched even by much more expensive equipment. The P 3000 HV’s uncompromising design is of symmetrical double-mono construction. Both balanced and unbalanced sockets are available as outputs. There are four balanced inputs, input No. 4 can be operated in surround (pass-through) mode in order to use the power amplifier for the front channels of a surround decoder. The analogue and digital mains power supplies are completely separate from each other, and even feature separate mains sockets.HV-Link (HV data bus), LAN socket, trigger input, RC-in for E-2000 and an ground terminal are also present. We have developed an analogue signal processor module which not only offers tone and loudness functions operating separately for each channel, but also features three narrow-band parametric equalizers which are capable of effectively damping room resonances in the range from 20 Hz to 500 Hz. The net result is that superb sound quality can be obtained even in difficult rooms. The P 3000 HV is equipped with a high quality headphone amplifier with dual current capability and is supplied complete with the F 3001 infrared remote control unit. 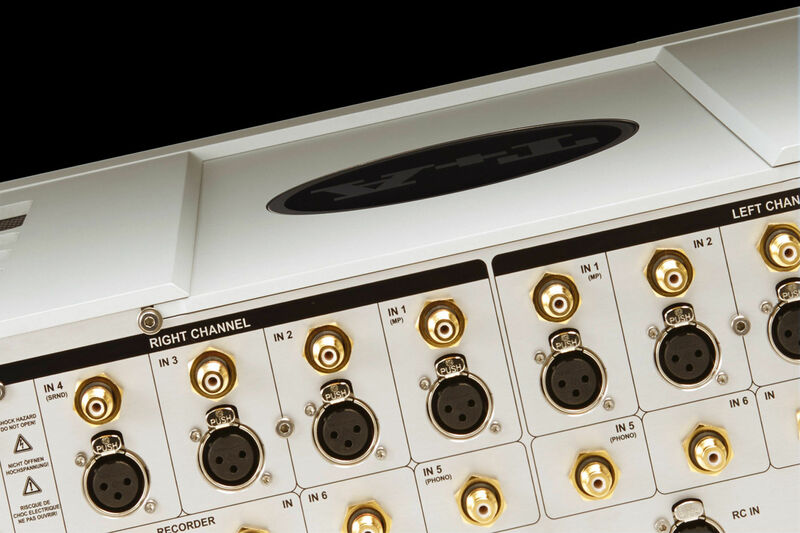 Upon request the P 3000 HV can be fitted with High-End phono preamplifiers, which possess different circuit topologies for MM or MC pick-up systems.